Damage like that can run into the thousands! 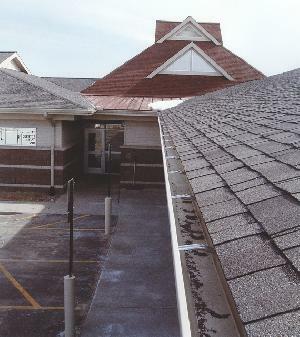 A properly installed and maintained gutter system is far cheaper. A seamless gutter, custom fitted to the angles of your roof, provides the best protection possible. Our gutter systems are formed from heavy aluminum sheet stock. 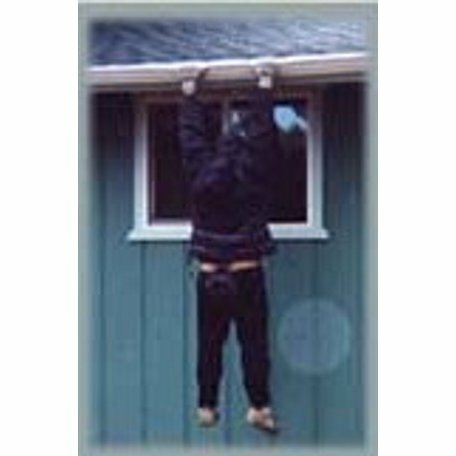 A good gutter system deserves a good mounting system. 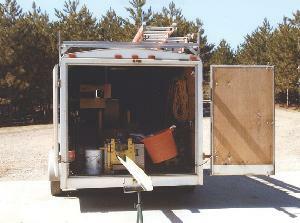 The one we use is the Hangfasttm , and for good reason: It's plain strong! That's good to know when the weight of the winter snow starts building up. Rhino Gutter Guard20 Year Warranty! Keeping leaves and debris out of your gutter is an important part of gutter maintenance, but it can be a hassle. 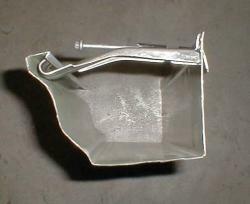 I suggest installing a debris trap to keep your gutters flowing freely. There are many types and brands, but my suggestion is the Rhino Gutter Guard. The covers are a multi-layer construction of steel screen over-layed with a finer mesh that allows roof water to freely enter the gutter while keeping leaves, pine needles, and other debris out.